Are you searching for an exquisite and historical location for your next important occasion? 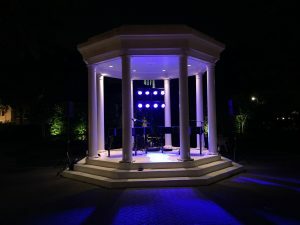 Felix and Fingers performed an outstanding and successful show for the Maxwell Mansion wedding event in Lake Geneva, IL. Congratulations Melissa and Sean! 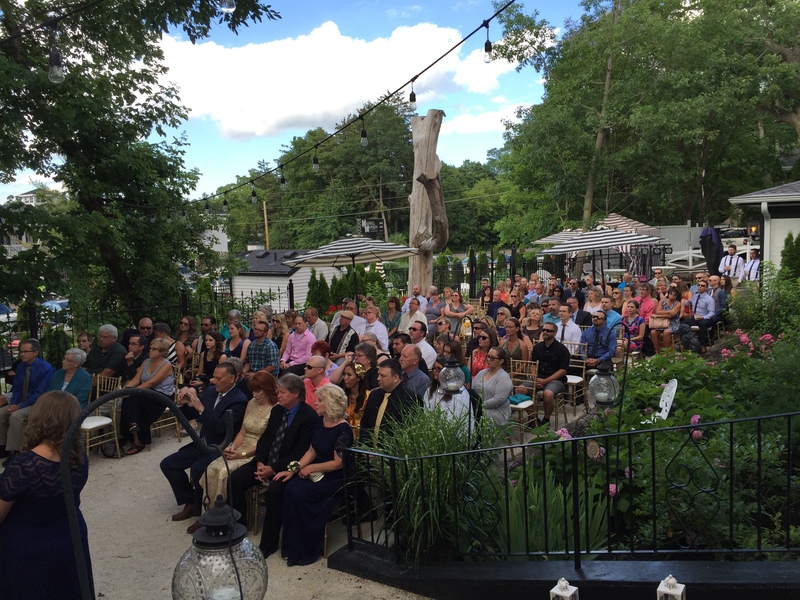 From ceremony to reception, Felix and Fingers performed a fun show on a GORGEOUS summer day in July. Our performer for the Maxwell Mansion wedding event was Mike Sherman. To start with, a shout out to the staff at Maxwell Mansion, we couldn’t be more thankful for your help and friendliness. With his piano set up by the Bocce ball court, Mike played a traditional wedding march while Melissa entered the courtyard looking gorgeous. The entire first floor of this mansion will specifically take you back to Gilded Age Living. It was stunning. If you would like to tour Maxwell Mansion please click here. With PERFECT weather on our side, Mike Sherman played a great list of instrumental jazz during cocktail hour. Furthermore, a slight breeze formed cooling guests off as they sipped on their drinks while enjoying hors d’oeuvres. A few couples actually danced on the patio to songs such as In The Mood by Glen Miller and So What by Miles Davis. In addition to drinks, there were delicious food stations located around the mansion. We had a chance to try the prime rib carving station and to tell the truth, it was amazing! Picture this, a wraparound deck leading to incredible gardens with a marble breezeway connecting all of Maxwell Mansion’s unique spaces. Now picture your next public or private event at this truly one of a kind venue. 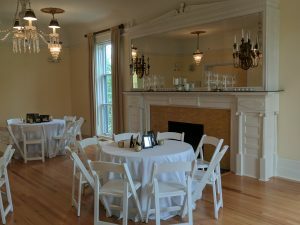 Actually, Melissa and Sean’s Maxwell Mansion wedding event could not have been more charming and quaint. In other words, this event was so laid back, backyard bliss and smiling faces were everywhere. 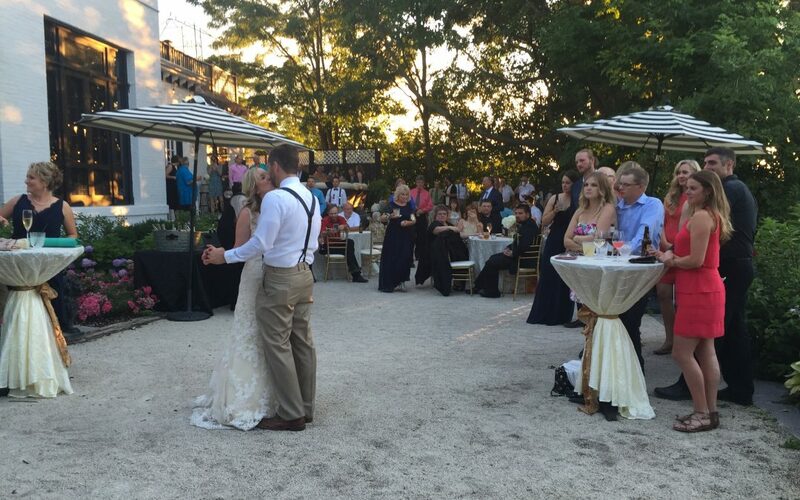 We loved the fact the Maxwell Mansion wedding event had guests dancing wherever they wanted. No formal dance floor needed at this party. We had a TON of FUN playing a long list of 80’s hair band requests. 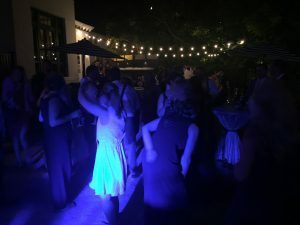 Songs such as Runnin With The Devil by Van Halen and Photograph by Def Leppard eventually had guests tossing their shoes to the side and kicking up their heels all night long! In conclusion, the Maxwell Mansion wedding event was the ideal inspiration for Melissa and Sean who wanted to create a backyard feel with an elevated look. We had a blast with this fun loving crowd and look forward to performing at this location in the future. If you are interested in hiring us for your next public or private event send an email to info@felixandfingers.com or click here for more information. We look forward to hearing from you soon!